It is Wedge Antilles' boldest creation: a covert-action unit of X-wing fighters, its pilots drawn from the dregs of other units, castoffs and rejects given one last chance. 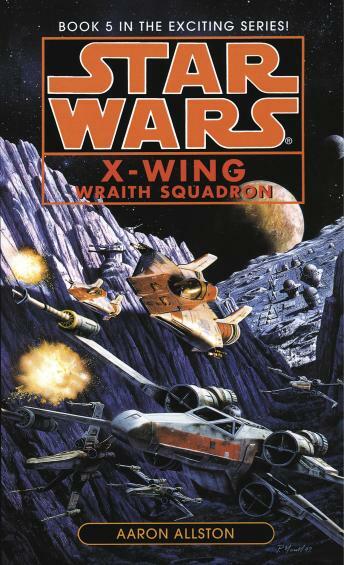 But before the new pilots can complete their training, the squadron's base is attacked by former Imperial admiral Trigit, and Wraith Squadron is forced to swing into action--taking over an Imperial warship and impersonating its crew. The mission: to gain vital intelligence about Trigit's secret weapons, to sabotage the admiral's plans, and to lure him into an Alliance trap. But the high-stakes gamble pits Wraith Squadron's ragtag renegades against the Empire's most brilliant master of guile and deception. If not, the penalty is instant death. (r), TM & (c) 1998 Lucasfilm Ltd.